"Cabria" is made in Italy. Chloe boot in shiny box calf leather. 2.4" stacked block heel. Pointed toe. Dual buckles at lace-up vamp. Cutout sides. Chloe boot in shiny box calf leather. 2.4" stacked block heel. Pointed toe. Dual buckles at lace-up vamp. Cutout sides. Leather lining and sole. "Rylee" is made in Italy. Sizing note: Chloe shoes run small. We suggest that you order a full size larger than you typically wear. 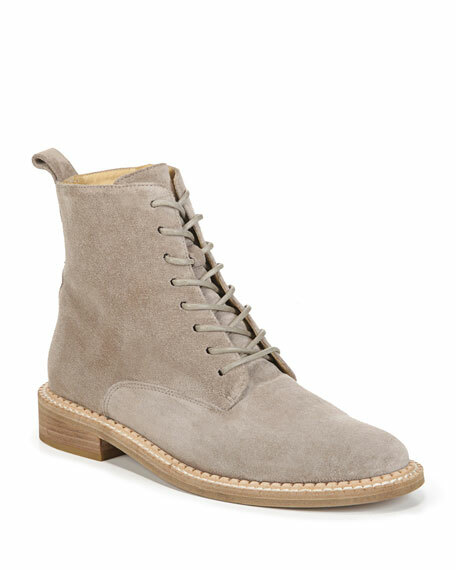 Rag & Bone suede boots with studded contrast leather trim. 1.5" chunky flat heel with slight platform; 4.5"H shaft. Dyed sheep shearling (Turkey) trim. Round toe. Lace-up vamp. Pull-tab at backstay. Padded footbed. Lugged Vibram?? rubber outsole. "Compass" is made in Italy. 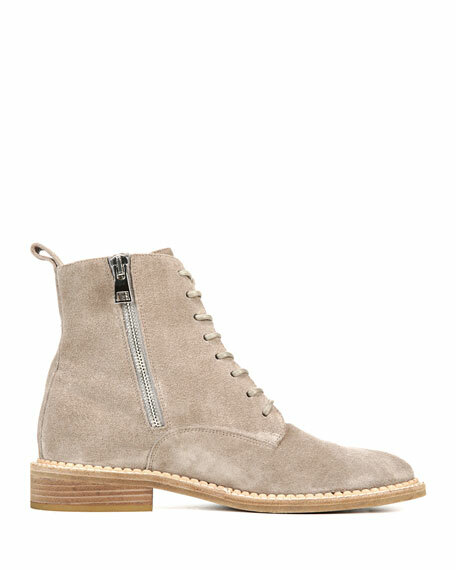 Saint Laurent booties in goatskin suede. 2.8" covered block heel. Round toe. Side zip eases dress. Metal logo at heel. Saint Laurent booties in goatskin suede. 2.8" covered block heel. Round toe. Side zip eases dress. Metal logo at heel. Leather lining. Smooth outsole. "Lou" is made in Italy. Fit note: Saint Laurent shoes run small. Please order a 1/2 size larger than you typically wear. Saint Laurent over-the-knee suede boot. 4" stacked heel. Rounded toe. Pull-on style. Drawstring top collar with hanging tassels. Leather lining and sole. "Meurice" is made in Italy. Fit note: Saint Laurent shoes run small. Please order a 1/2 size larger than you typically wear.